Broadcom Corporation reports that for the first time it has been able to compute GNSS positions, using the first Quasi-Zenith Satellite System (QZSS) spacecraft. 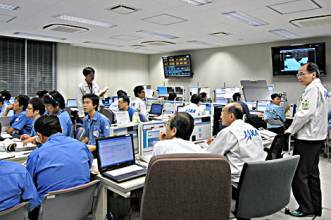 The Japan Aerospace Exploration Agency (JAXA) launched the Quasi-Zenith Satellite–1 (nicknamed Michibiki) on September 11 and recently started transmitting the QZSS ephemeris (orbital location coordinates). 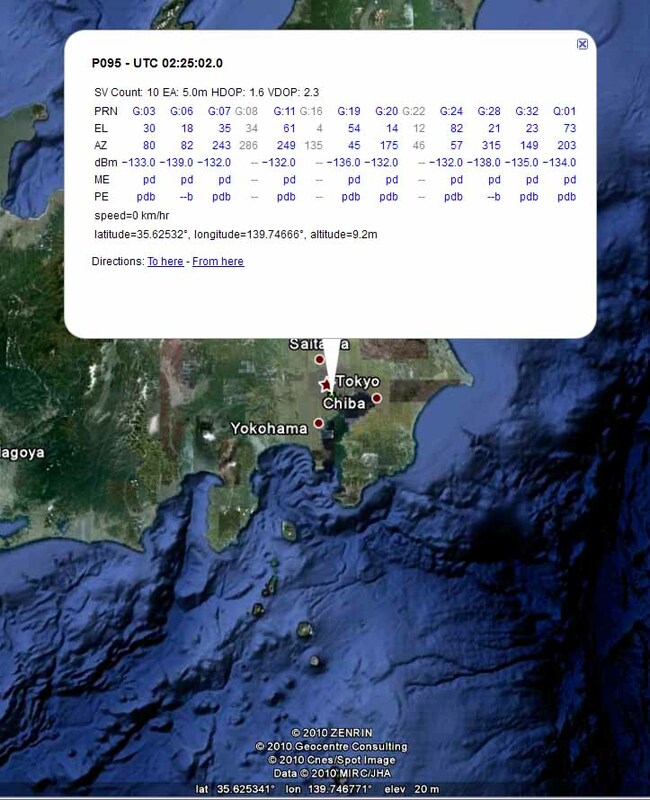 Broadcom engineers in Tokyo, Japan, have been tracking Michibiki with a BCM4751 GNSS receiver chip. The satellite ephemeris is currently set unhealthy, but the ephemeris is accurate. So, the company temporarily changed the receiver’s software to treat the satellite as if the ephemeris were healthy, resulting in good fixes with it. The accompany photos show the position fix displayed in Google Earth images. In the top photo, the QZSS data is in the last column on the right, circled in red. "So far, we just did some open sky tests to see the received signal strength, that we could acquire the satellite and decode the transmitted data (L1, C/A). The accuracy was just like GPS in open sky, great," says Frank van Diggelen, Broadcom’s senior technical director for GNSS. "The interesting accuracy test will come in urban canyon driving, where we expect to see noticeable differences in accuracy, and HDOP [horizontal dilution of precision], with the addition of QZSS." Michibiki is the first of three QZSS satellites planned to be launched into an inclined geosynchronous orbit so that at least one will be positioned almost directly over Japan to improve GNSS signal availability and satellite-receiver geometry.The system will transmit six signals, several of which are interoperable with selected GPS and other GNSS signals. In September, Broadcom, headquartered in Irvine, California, announced that its single-chip BCM4751 has built-in support for QZSS and also supports additional satellite constellations including various satellite-based augmentation system (SBASes), making as many as nine additional satellites available for use in navigation.